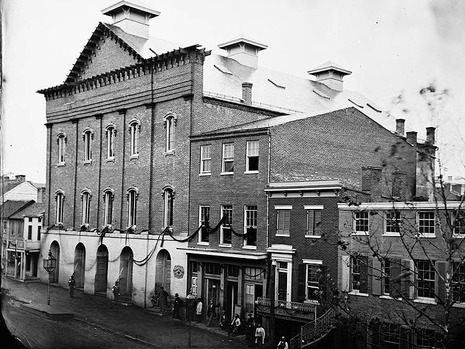 Shortly after 10 P.M. on April 14, 1865, actor John Wilkes Booth entered the presidential box at Ford's Theatre in Washington, D.C. and fatally shot President Abraham Lincoln. 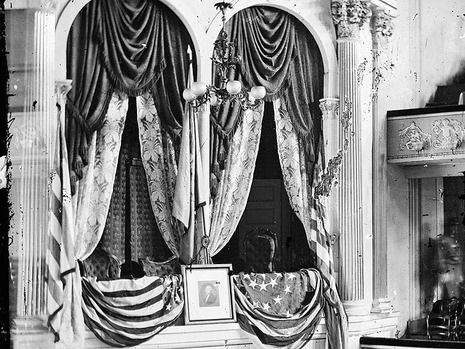 As Lincoln slumped forward in his seat, Booth leapt onto the stage and escaped out the back door. 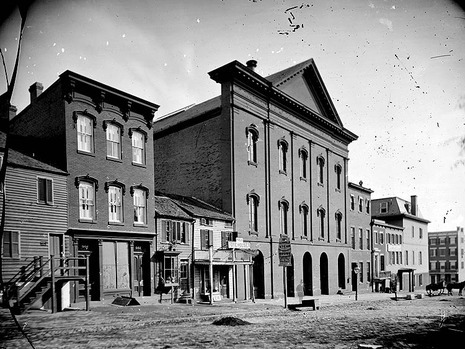 The paralyzed president was immediately examined by a doctor in the audience and then carried across the street to Petersen's Boarding House where he died early the next morning. 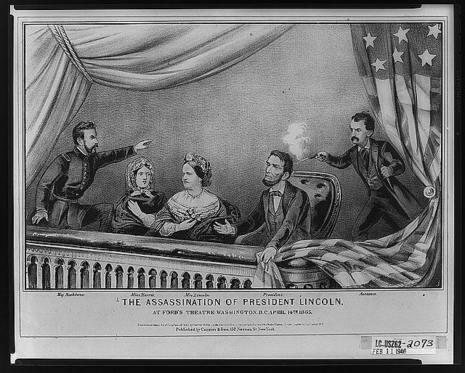 Lincoln's assassination was the first presidential assassination in U.S. history. 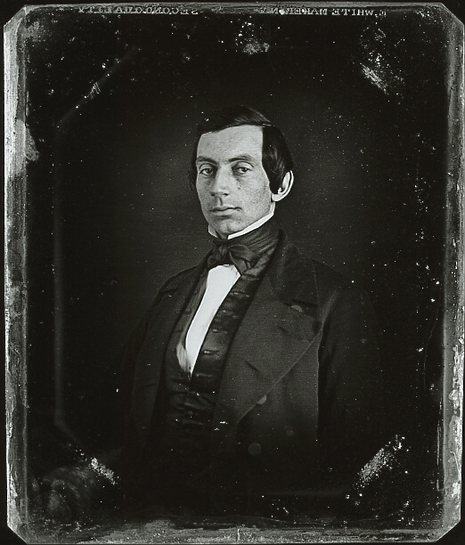 Booth carried out the attack thinking it would aid the South which had just surrendered to Federal forces. The suspicion that Booth had acted as part of a conspiracy of Southern sympathizers increased Northern rancor. 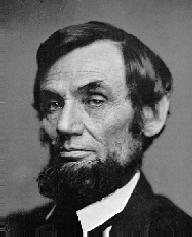 Whether Lincoln would have been able to temper the Reconstruction policies enacted by the Radical Republicans in Congress is left to historical speculation because of his untimely death as the United States transitioned from civil war to reunification and peace.